One of my favorite daily reads is the paris apartment blog. This design blog has a distinctive style and is full of inspiring photographs that will make you want to pack your bags and move to Paris. Chic and feminine...if I could afford it, I would hire the author Claudia to design my entire apartment. But, then I would probably just lie around the house all day reading Colette and eating salted butter caramel macaroons while sipping champagne instead of doing real work. Right now the author is on a month long trip to Paris (so jealous! ), but has been having a rough time. So go check out her fabulous blog and leave her some love! i love the idea of modern day salons too, great places to gather for like minded women. i'm meeting the most gracious and wonderful people, i almost can't remember life before blogging! thank you for this! No problem! Your blog is one of my favorites and your friend's apartment was so charming I could not resist...especially that chandelier! 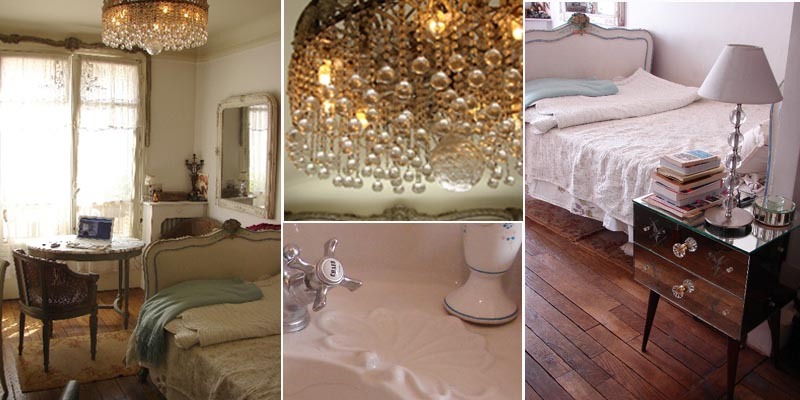 I really love the Paris apartment! I checked out your profile, are you one of the suppliers for Claudia's shop in the US?